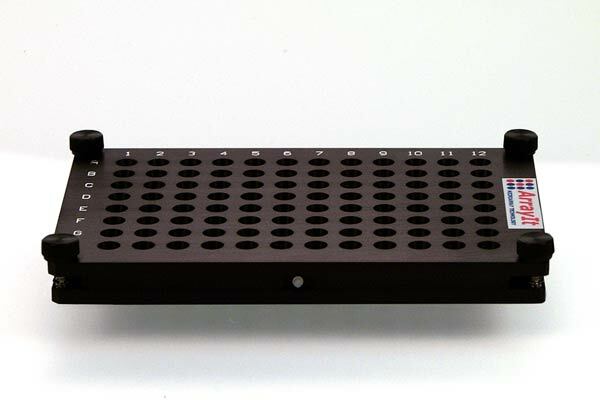 This excellent tool is designed to process microarrays in the 96 well format. It is re-usable, easy to assemble with no special tooling required. It is compatible with existing 96 well plate liquid handling systems, this new hardware reduces the cost of microarray surface chemistry 96 fold, as well as dramatically increases microarray manufacturing and processing throughput. Optically quality glass with your favorite chemistry is available from ArrayIt.